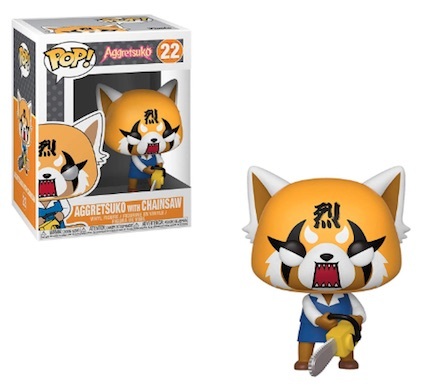 Product DetailsFunko Pop Aggretsuko brings vinyl fans the many faces of Retsuko, the red panda. The Pop! Sanrio mascot is also known for the original Japanese anime series, Aggressive Retsuko, and the Aggretsuko cartoon on Netflix. By day, Retsuko is a run-of-the-mill office worker as seen in the main Aggretsuko figure (#21). However, at night, the seemingly boring accountant lets off a little steam through death metal karaoke. 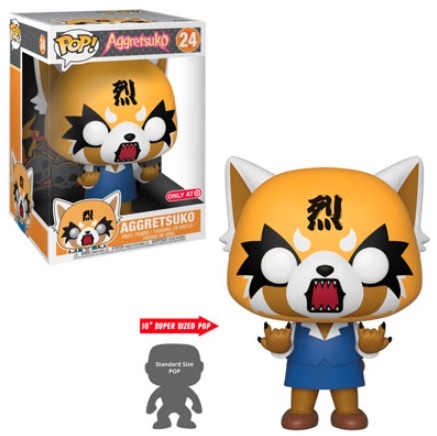 That edgier side is on display in the Rage variation and Aggretsuko with chainsaw figure. Both have painted faces and aggressive expressions. 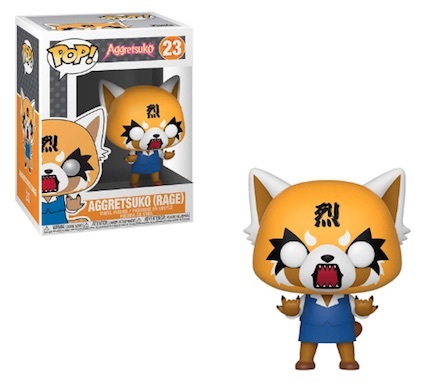 Buy Aggretsuko Pop figures on Amazon. In addition, the super-sized Rage figure stands 10" tall and is exclusive to Target. 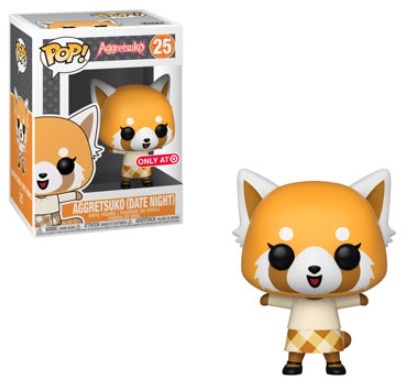 Another Target release is Aggretsuko Date Night, which shows the sweet Retsuko in her casual attire consisting of a cream sweater and plaid skirt. 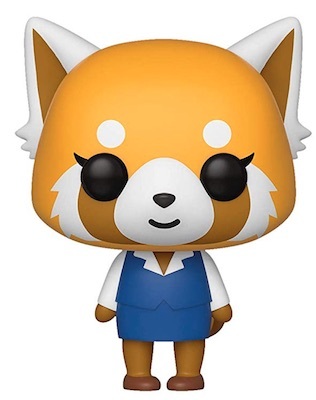 At this point, only Retsuko is featured in the vinyl line but the series does have a large selection of characters to grow the set in the future. Collectors can also find more Funko Pop Sanrio figures like Hello Kitty and Gudetama. Drop us a line if you see any other Funko Pop Aggretsuko figures. Click on the listings below to shop for figures on eBay or Amazon. FUNKO POP! Sanrio Retsuko 10" AGGRETSUKO Only At Target EXCLUSIVE #24 FREE SHIP! 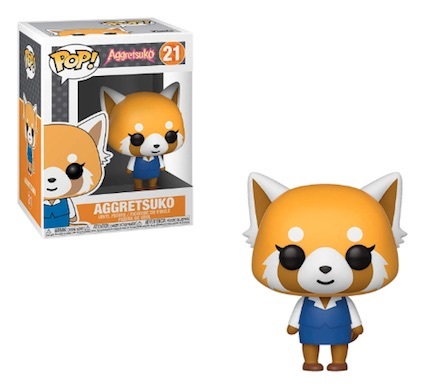 FUNKO POP AGGRETSUKO 10 INCH TARGET EXCLUSIVE! IN HAND AND READY TO SHIP!